Gordon Hearn will be speaking at the Transportation Loss Prevention & Security Association, Inc.Annual Conference being held in Chicago, Illinois April 19-21, 2015. Gordon will be speaking on Canadian law affecting the cross border carriage of goods by truck and related logistics. 8th Annual McGill Conference on International Aviation Liability and Insurance, April 17-18, 2015, Montreal. Fernandes Hearn LLP is a sponsor of the conference. International Bar Association (IBA) Maritime and Transport Law Conference entitled “Shipping and Chartering in Challenging Times”, Geneva, Switzerland on 7-8 May 2015. On January 19, 2015, the Canada Border Services Agency (the “CBSA”) issued Customs Notice 15-001 making some significant changes to its position on the treatment of downward price adjustments in value for duty calculations. Previously, the CBSA’s position on the treatment of all transfer pricing adjustments between related parties for customs purposes was set out in Memorandum D13-3-6. Generally, pursuant to the transaction value method, the CBSA accepted the transfer price used for income tax purposes for determining the price paid or payable (“PPP”) for imported goods for customs valuation purposes, subject to certain statutory additions and deductions. However, where related parties made a downward transfer price adjustment in the PPP for goods after importation the CBSA’s official position was that such reductions would be disallowed pursuant to paragraph 48(5)(c) of the Customs Act and would be disregarded for customs valuation purposes. As a result, a Canadian importer was theoretically not allowed to receive a refund on duties already paid to the CBSA by filing a request under paragraph 74(1)(e) of the Customs Act based on a downward transfer pricing adjustment made at the end of the year. Paragraph 48(5)(c) of the Customs Act addresses downward adjustments to the PPP effected after importation, and continues to apply in scenarios where a purchaser and vendor enter into an agreement to reduce the PPP of goods after those goods have been imported to Canada. No correction of declared value for duty of the goods can be made in these circumstances. For example, after importation a vendor agrees to reduce the PPP of goods already imported because the purchaser is unable to resell those goods in Canada. The decrease in the PPP is effected after importation, and a downward adjustment to the PPP is precluded by paragraph 48(5)(c) of the Customs Act. However, in circumstances where an agreement in writing to later reduce the PPP for goods exists at time of importation then the importer can apply for a rebate if the PPP is actually reduced. The change in position by CBSA resulted from a decision on March 21, 2014, by the Canadian International Trade Tribunal (CITT) in Appeal No. AP-2012-067, Hudson’s Bay Company v. President of the Canada Border Services Agency, concerning the treatment of rebates made after importation. The CITT ruled that a price reduction made after importation is not addressed by the Customs Act if it results from an agreement to reduce the price that was in effect at time of importation. 5.In situations where an agreement in writing was in effect at time of importation to later reduce the PPP of imported goods and the price reduction subsequently occurs, a correction made under the authority of section 32.2 of the Customs Act is necessary if the importer is provided with specific information giving reason to believe that a declaration of value for duty is incorrect, and the correction would be revenue neutral. An importer may elect to pursue a refund of duties under the authority of paragraph 74(1)(e) of the Customs Act if the price reduction would result in a decrease of value for duty. Such a request can be made for importations occurring within four years of the date of this notice. 6. In situations where a transfer price agreement between a vendor and a related purchaser exists, the intercompany transfer price is considered by the Canada Border Services Agency (CBSA) to be the uninfluenced PPP of imported goods. For the PPP to remain uninfluenced, corrections to the value for duty must be submitted to the CBSA when the net total of upward and downward transfer price adjustments occurring in a fiscal period is identified. It is at that specific moment that the importer has reason to believe that corrections to declarations of value for duty are necessary. If the net total result is a downward price adjustment and the imported goods are subject to duties, a request for refund can be made for importations occurring within four years of the date of this notice. D13-series memoranda that address the treatment of price reductions made after importation will be amended to reflect the information included in the Notice. The Notice is good news for importers. Importers should review their customs entries for the last four years to determine whether they are entitled to claim a refund of duties. Customs brokers should advise their customers of this important change. A shipment of food product is delivered to a consignee. The seal has been “broken” is missing. Can the receiver simply reject the shipment? Perhaps the driver simply broke the seal after arrival, prior to backing the trailer up to the unloading bay. What if in addition to the seal not being intact on delivery, the trailer was stolen or went missing in transit? Might this then justify the consignee rejecting the shipment? For that matter, what if the shipment required environmental protection while in transit, with the seal being intact with no delay in delivery, but the temperature data indicating a deviation from the required standard. Can the consignee then reject the shipment? Increasingly, disputes arise between shippers and receivers of goods and carriers involving the same related questions: can a consignee reject a shipment, citing concerns of food safety, liability exposure prevention and/or the interest of protecting “brand name” or market credibility? The issue pits different policy interests against the other. Cargo interests can be understood if they do not want to incur the risk of distributing product that may be tainted. On the other hand, the conventional burden of proof in the cargo claim context requires certain minimum elements of proof from the claimant. The defendant carrier may in addition to requiring this “proof” also cite the failure of a claimant to have tried to mitigate the loss. The basic burden of proof in any cargo claim – including shipments by motor carrier – requires that the claimant establish that the cargo was in good order and condition at the commencement of the carriage mandate and that the same was delivered in a different state at destination – the “difference”, quantified in terms of dollars (often being referred to as the Arrived Market Damaged Value) then being the amount of the claim. The cargo claimant is expected to be able to establish and quantify the loss or damage in question. In cases where the consignee simply rejects the shipment, this may throw this important analysis off-kilter, leaving the carrier to suggest that the claimant has failed to prove the fact of damage per se, or the extent of any damage if the cargo has been affected in any way. The same concern arises from the U.S. context, where American law is found to govern a cross-border shipment of goods. Under the Carmack Amendment, the plaintiff establishes a prima facie case(that is, a case at “first blush”, or a presumptively valid case) by showing that 1) the cargo was in good condition when delivered to the carrier, 2) the cargo was delivered in bad condition when the carrier delivered it to destination, and 3) the damages suffered (*1). It should be noted that the parties to a transportation contract may agree beforehand to a specific treatment of matters in such cases. Some shippers and carriers negotiate “deemed loss” provisions, allowing a consignee to reject a shipment if a shipment is delivered at destination without the seal being intact. A corollary involves a contract term that the shipment simply must be delivered with a seal intact, “to be broken only in the presence of a designated receiver representative” or similar wording. Further variations of the theme are found with provisions stipulating that in the event of any adulteration of cargo, that there is deemed to be no salvage value in the cargo, and/or that the cargo interests may direct the disposition of the same, and/or that the carrier must dispose of the same without any recourse to a salvage or “distress goods” market, or terms to similar effect. Shippers and carriers are of course free to contract such terms. The present discussion rather focuses on the majority of the cases that arise where there is no such contractual treatment by the parties on what the outcome should be and the parties are left to the conventional cargo claim context. The objective of the rule of mitigation is to give the plaintiff an incentive to take steps to minimize the total costs of the tort or breach of contract, and to avoid unduly burdening the defendant with avoidable losses. The plaintiff is disbarred from recovering losses that could reasonably be avoided. What is reasonable is a question of fact, not law, and the burden of proof is upon the defendant to demonstrate that the plaintiff could reasonably have avoided a loss or was unreasonable in her conduct. There is a surprising lack of case law precedent involving the shipment rejection scenario in Canada. No doubt, this is on account of the fact that shipments of foodstuffs often involve modest values relative to the costs of litigation. The historical conservatism of Canadian courts in having matters adjudicated in a formal trial setting (as opposed to by way of an interim “summary judgment” mechanism) has no doubt militated against the development of factually specific case law precedent. Understandably, disputes usually settle in the course of litigation (or as an alternative to litigation) without the parties being willing to “go the distance” to trial. By comparison, the United States federal court system is generous with its body of case law precedent on these and a host of other topics, if for no other apparent reason by virtue of the fact that the American system is significantly premised (if not reliant) on the availability of the “summary judgment” mechanism for the adjudication of disputes without litigants having to take matters all the way to a formal trial. The “take” on the case law from both sides of the border thus far is that whether a consignee can reject a shipment and sustain a claim for the value of the load remains a question of specific fact in each case. Certainly, the cargo claimant has, at a minimum, certain expectations to meet in the realm of factual proof. By way of illustration, while presumably the claimant does not have to “pulp test” each avocado to prove a loss, evidence would still be required as to the fact of, or high probability of loss (e.g. by a statistically sound sampling, showing proportions affected relative to the whole and/or unavailability of any salvage market or of a legitimate risk to brand and reputation). It is submitted that the claimant cannot just “reject the load”. Something significant by way of proof as to why this was both necessary and reasonable in the circumstances can be expected of the claimant. It can also be suggested that a broken seal should not by itself allow the cargo claimant to reject the shipment: rather, as the carrier would argue, evidence still has to be led to allow a conclusion to be reached that the cargo has in fact been affected. Equally, if a consignee is going to assert that cargo had to be “dumped” to protect against the risk that customers would obtain branded product that was substandard or unfit, presumably evidence would be required to show the existence of such risk as being real together with evidence indicating that there were no readily available salvage disposition alternatives. The case law cannot simply provide a prediction as to who will prevail as between the cargo interests and the carrier in any given situation. The range of cases, and possible arguments raising the above issues is far too broad for the limited scope of this article. Suffice to say that these issues are real, they will continue – and, in fact, the propensity of such litigation may even increase in the wake of certain regulatory developments addressed below. While these developments will certainly serve to enhance food safety in transportation, there is the concern that as they specifically codify requirements on the part of the each of the participants to a carriage contract, that a shipper might in the future opt to cite any on breach by a carrier as a basis to reject a shipment. Could the new regime in effect undermine or dilute the historical burden of proof? Only time will tell. Statutory Developments and Initiatives: Towards the Enhancement of the Safe Carriage of Foodstuffs – But What will this do to Cargo Claims? Under the Carmack Amendment, 49 U.S.C. §14706, it is incumbent upon the shipper and/or the receiver to mitigate their damages with respect to cargo claims. See Land O’Lakes, Inc. v. Superior Service Transportation of Wisconsin, Inc. et al., 2008 U.S. Dist. LEXIS 36685 (E.D. Wis. 2008). Given the proposed requirements for the transportation of food, it is quite evident that the shipper’s burden under the Carmack Amendment will become easier unless motor carriers take proactive steps to ensure that their interests are protected. Motor carriers should have a real concern about “reject it, crush it, and dump it” a tendency prevalent throughout the food chain to simply require destruction of product for pilfered seal or minor temperature variance without any effort at mitigation of damages or a prerequisite for a meaningful inspection of the product. The Proposed Rule requires written instructions from the shipper to the motor carrier as to how the goods are supposed to be transported. The Proposed Rule contemplates that the shipper and carrier can have contractual agreements that govern the terms and conditions of transportation. It is imperative for motor carriers to ensure that certain provisions are in place in writing as to the handling of claims involving broken seals or a slight temperature variance. Failure to take proactive steps will likely result in goods being considered adulterated. There appears to be a need for an alternative dispute resolution method incorporating a reliable and meaningful inspection of rejected shipments, including perishable and non-perishable foodstuff items and produce. Motor carriers simply cannot find cargo insurance which will accept claims when no meaningful inspection or proof of damage has been conducted. The destruction of foodstuffs when seals are broken and are missing but no evidence of theft or tampering with internal or external packaging exists creates uninsured losses and results in millions of dollars of wasteful destruction of product that is easily certifiable as fit for use. What can be done? An effort should be made by all in the industry – shippers, receivers, carriers and brokers – to establish a recognized third party alternative dispute resolution method for adjusting claims which would include a timely inspection of stressed merchandise by claims experts, including where necessary, biological examination of product and thermodynamic analysis of temperature readings and transit times. Whether such an ADR method will come to fruition when the Final Rule comes out and is implemented is still left to be determined. It will be incumbent upon motor carriers to ensure that it does. There appears to be a need for an alternative dispute resolution method incorporating a reliable and meaningful inspection of rejected shipments, including perishable and non-perishable foodstuff items and produce. Motor carriers simply cannot find cargo insurance which will accept claims when no meaningful inspection or proof of damage has been conducted. In the above excerpt, Mr. Husk makes reference to the “Proposed Rule”. This is highlighted below in a discussion on the regulatory developments in the United States. First, a word as to what is happening in Canada. Interim policies may be developed in advance of the new regulations, which are expected sometime this year. With this new regime, the Canadian Food and Inspection Agency (CFIA) will be working with consumer groups and industry to develop the new regulations. The policy goal is similar to recent U.S. Food Safety Modernization Act (being the relatively new U.S. regime addressed below): “to allow for a preventive, rather than a reactive, approach to food safety, with new provisions relating to inspection, response and imported foods”. – Regulation-making power will exist concerning equipment, sanitation and operations standards and for regulation of holders of licenses and registrations to post bonds or provide suretyships. The scope of the SFCA by its express terms only seems to generally touch on the carriage of foodstuffs in terms of specific shipper and carrier obligations and requirements. When the regulations under the SFCA are actually drafted, we may then see the specific regulation of carriers and parties involved in the actual transit of goods. This has certainly been the case with the American experience, with U.S. having now drafted the “Proposed Rule” which is expected to come into effect in 2016. This will have a dramatic effect on fixing roles and obligations on the various parties to a food carriage contract. The Food Safety Modernization Act of 2011 (FSMA) required the Food and Drug Administration (FDA) to issue regulations requiring shippers, carriers by motor vehicle, or rail vehicle, receivers and other persons engaged in the transportation of food to use sanitary transportation practices to ensure that food is not transported under conditions that may render food adulterated. While everyone can agree that the safe transportation of food is important, for motor carriers, the new proposed regulations could have significant ramifications. On February 5, 2014, the FDA issued its Proposed Rule on Sanitary Transportation of Human and Animal Food. Comments ended on July 30, 2014 and a Final Rule is anticipated in March of 2016. The Proposed Rule would not cover shippers, receivers or carriers in food transportation operations that have less than $500,000 in total annual fees. It would not apply to shippers, receivers or carriers when they are engaged in transportation operations of (1) food is transshipped through the U.S. to another country; or (2) food that is imported for future export and that is neither consumed nor distributed in the United States. Further it does not apply to fully packaged, shelf-stable foods (i.e. canned goods or bottled water), live food, animals and raw agricultural commodities (RACs) when RACs are transported by farms. Highlights of the Proposed Rule are as follows. They are specific, detailed, and far reaching. The current draft of the Proposed Rule contemplates certain sanitary requirements for vehicles and transportation equipment. The vehicles and equipment will have to be manufactured so they are suitable and adequately cleanable for the intended use and the vehicles and equipment must be maintained in a sanitary condition. The FDA would consider unrefrigerated vehicles or equipment used to transport foods requiring temperature control satisfactory only if they incorporate design features such as thermal insulators for keeping food in a chilled state or, otherwise, are equipped to maintain the food under appropriate temperature conditions with insulated coolers and ice packs. Each freezer and mechanically refrigerated cold storage compartment in vehicles or transportation will have to be equipped with an indicating thermometer, temperature measuring device or temperature recording device installed to show the temperature accurately within the compartment. It is proposed that shippers will be required to specify to the carrier in writing all necessary sanitary requirements for the carrier’s vehicle and transportation equipment, including specific design requirements and procedures deemed necessary by the shipper to ensure that the vehicle and equipment are in a sanitary condition for the transportation of food. In addition, prior to loading, in respect of food not completely enclosed by a container, the shipper will have to visually inspect the vehicle or the transportation equipment provided by the carrier for cleanliness and determine whether it is in suitable condition. Further, any shipper that tenders for transportation food that can support the rapid growth of undesirable growth of micro-organisms in the absence of temperature control during transportation, will have to specify to the carrier in writing the temperature conditions necessary including all pre-cooling instructions. Shippers and receivers will be required to provide drivers, who are expected to handle food that is not completely enclosed by a container during loading and unloading, access to a hand washing facility that is both convenient and provides running water. The shippers and receivers themselves are expected to carry out loading and unloading operations under conditions that will prevent the food from supporting microbial growth. Although this requirement is in place, the FDA has tentatively concluded that the movement of the foods through non-temperature controlled loading and unloading areas, would not put the food at risk if the food is not held under such conditions for an extended period of time. This period is presently undefined under the Proposed Rules. Written Agreements: Under the Proposed Rule, motor carriers will be required to supply vehicles and transportation equipment that meets any requirements specified by the shipper and otherwise appropriate to prevent food from becoming “filthy, putrid, decomposed, or otherwise unfit for food, or being rendered injurious to health from any source during the transportation operation.” Once transportation is complete, the motor carrier will have to demonstrate to the shipper, and if requested, to the receiver, that the carrier maintained temperature conditions during the transportation consistent with those specified by the shipper. In certain circumstances, the shipper may assume the responsibilities for ensuring food is held under acceptable transportation conditions. The carrier would not be subject to these requirements if the shipper and carrier agree in writing that the shipper is responsible. In the event that the shipper will be responsible for temperature control, the carrier would be required to provide the written agreement to the receiver, if requested. Pre-Cooling Requirements for Motor Carriers: Before offering a vehicle or transportation equipment with an auxiliary refrigeration unit for the transportation of food that can support the rapid growth of undesirable microorganisms, in the absence of temperature control, the carrier will have to pre-cool each mechanically refrigerated freezer and storage compartment as specified by the shipper. Identification of Prior Shipments and Cleaning Procedures: A carrier that offers a bulk vehicle for food transportation will be required to provide to the shipper information that identifies the three previous cargoes transported in the vehicle. The shipper and carrier may agree in writing prior to the transportation that the carrier can provide fewer or that the carrier need not provide any if established procedures are in place to ensure that the vehicle offered is adequate for the intended transportation. Likewise, the carrier who offers a bulk vehicle for transportation must provide to the shipper information that describes the most recent cleaning of the bulk vehicle unless the shipper and carrier agree in writing that the carrier need not provide the information because adequate procedures are in place, the carrier has agreed to use a specified cleaning procedure at specified intervals, or if the shipper cleans the vehicle at its own facility prior to loading the food into the vehicle. Motor carriers will be required to establish, implement and maintain written procedures which will specify practices for cleaning, sanitizing, if necessary, and inspecting vehicles and transportation equipment that the carrier provides for the use and transportation of food. The FDA contends that there is a lack of consistent implementation of training in sanitary food handling practices among carriers. The FDA is proposing training requirements for carriers. The FDA envisions that the training can be provided in a half-day, online format similar to basic DOT hazmat employee training. The training would be provided upon hiring and as needed thereafter. Carriers would be required to establish and maintain records that document the required training and must include date of training, type of training and persons trained. The new Rules would establish requirements for retention and availability of records for shippers and carriers. Shippers would be required to retain records that demonstrate that they provide written instructions to carriers as a regular part of their operations for a period of 12 months beyond when the shipper is subject to any requirement to provide such information. Motor carriers would be required to retain records of any written agreement and written procedures that describe cleaning, sanitizing and inspection procedures for vehicles and transportation equipment for a period of 12 months beyond when such agreement and procedures are in use in the transportation operations. Further, carriers would be required to retain training records for a period of 12 months beyond when the person identified in such records continues to perform the duties for which the training was provided. Shippers and carriers would be required to make all records available to a duly authorized individual promptly. All records required must be kept as original records, true copies or electronic records. Except for written procedures, offsite storage of records is permitted after 6 months following the date the record was made and such records can be retrieved and provided on site within 24 hours of request for official review. Electronic records are considered to be on-site if accessible from an on-site location. Computerized systems within the corporation can be networked, allowing for the sending and receiving of information in a secure fashion to all of the different facilities. There are significant developments in the carriage of foodstuffs, with similar issues and trends on both side of the border. The rejection of shipments continues to cause concern and frustration on the carrier side of the equation, as significant regulatory developments are unfolding in Canada and the United States which may have a significant effect on cargo claims litigation. We will report on these matters in future editions of this Newsletter as matters develop. (*6) Atlantic Mutual Insurance Co. v. CSX Lines, LLC 432 F. 3d 428 (2nd Circuit, 2005), citing 21 U.S.C. § 342(a)(4). (*7) Cited, with permission of the author (John Husk of Seaton & Husk L.C. Vienna, Virginia) from the article: “The Sanitary Transportation of Human and Animal Food Act may cause Motor Carriers to Lose their Sanity on Cargo Claims”. Mr. Husk is a leading United States transportation attorney. 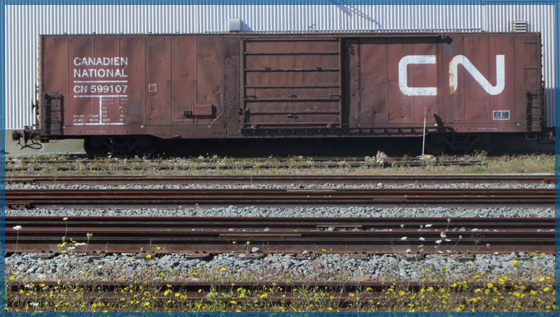 Under the Safe and Accountable Rail Act, the Government of Canada has introduced amendments to the Canada Transportation Act that will protect taxpayers from covering the cost of damages in the event of a major rail accident. The amendments, which fulfill a 2013 Speech from the Throne commitment, will provide for enhanced third-party liability insurance for federally regulated railways, as well as a supplementary compensation fund financed by shippers of crude oil. These legislated insurance levels are the result of analysis of rail accident cost data and the potential severity of accidents involving certain types of dangerous goods. To address concerns that some short line railways may have difficulty absorbing the costs of the minimum insurance requirements, the $100 million and $250 million levels will be phased in over time. Initial insurance requirements corresponding to half of the full amount will come into force 12 months after the bill receives Royal Assent. The full levels will be implemented a year later by the Governor in Council. Railways requiring either $25 million or $1 billion are not expected to need more time to adjust, so those levels would take effect immediately after the legislation comes into force. Railways must maintain their liability insurance coverage and inform the CTA immediately of any operational changes that may affect their coverage. The CTA could apply administrative monetary penalties of up to $100,000 per violation if railways do not comply. Create a supplementary shipper-financed fund to be used in the event of a railway accident involving crude oil. Shippers of crude oil would have to pay $1.65 per tonne of crude oil. Hold railways involved in crude oil accidents liable for damages up to the amount of their minimum insurance requirement without needing to prove fault or negligence. This provides greater certainty of compensation to accident victims. Continue to cover accidents involving dangerous goods other than crude oil within the fault/negligence-based system, with enhanced coverage for victims through increased insurance levels. Other dangerous goods could be included in the supplementary compensation fund as circumstances and levels of risk evolve. Recently, in Iannarella v. Corbett, 2015 ONCA 110, the Ontario Court of Appeal overturned the jury’s verdict following a 15-day trial of a personal injury action. The Court substituted its own verdict on liability issues, and ordered a new trial on issues of damages. The Court’s decision to order a new trial on damages was based largely on its finding that a) the defendant’s counsel had improperly sought to rely on video surveillance footage taken of the plaintiff, even though such footage had never been disclosed to the plaintiff or his counsel before trial; and b) the trial judge, among other errors, had improperly allowed the video footage to be admitted as evidence. While not an essential aspect of its disposition of the matter, the Court also commented negatively on the increasingly prevalent practice (as elaborated upon below) of counsel projecting excerpts of expert reports for the jury’s consideration. This case is a prime example of the complex evidentiary issues that can arise during a trial, and how NOT to introduce video surveillance footage and expert reports into evidence. It stands for the simple (and, one would have thought, trite) propositions that: a) litigants and their counsel must follow the Rules of Civil Procedure and produce (or at least disclose the existence and particulars of) all video surveillance footage taken; and b) litigants, generally speaking, may choose to file an expert report as evidence, or call the expert practitioner as a witness, but they cannot do both. This case should be considered essential reading for anyone who plans to introduce video surveillance into evidence or use equipment to show images to the jury during the trial. The motor vehicle accident in question took place on a snowy February evening in 2008, in heavy stop-and-go traffic on Highway 427, a busy north-south freeway in Toronto. The defendant was driving behind the plaintiff in a cement mixer. He testified that the roads were icy, and that it was snowy and dark outside. Visibility was “in and out” and there were “little whiteouts” in “bumper-to-bumper” traffic. At one point, the defendant was in the process of accelerating and was about to shift into second gear when a snowsquall hit and reduced visibility to zero. He hesitated for about 1.5 seconds and then slammed on his brakes. Unfortunately, his vehicle did not stop in time and he rear-ended the plaintiff’s vehicle, a pick-up truck. The plaintiff sued the defendant for general (i.e. pain and suffering) and special (economically based) damages arising from the collision. The plaintiff claimed that he had suffered a rotator cuff injury to his left shoulder, and had since had two surgeries on his shoulder. He claimed to have developed chronic pain, which made him unable to return to any form of employment. The trial proceeded before a judge and jury. Ultimately, the jury found that the defendant had not been driving negligently, and so the action was dismissed on liability grounds. However, if the jury had found the defendant liable, it would have awarded the plaintiff $32,000 in general (or “pain and suffering”) damages, and $40,571 as damages for past income loss. The jury would not have awarded the plaintiff anything for future income loss. Following the jury’s verdict, Justice Moore then proceeded to rule on the plaintiff’s entitlement to claim general damages at all by considering whether the plaintiff’s injuries met the statutory “threshold” set out at s. 267.5 of the Insurance Act, R.S.O. 1990, c. I-8. Moore J. found that the plaintiff’s injuries did not meet the threshold and so the plaintiff’s theoretical entitlement to general damages was also dismissed. Finally, the defendants were awarded costs in the amount of $255,000, for a 15-day trial that extended over four weeks. For several reasons discussed below, the plaintiff appealed the decision to the Ontario Court of Appeal. The Court of Appeal unanimously allowed the appeal, set aside the jury verdict and Justice Moore’s rulings on the statutory threshold and costs, substituted a finding of liability against the defendants, and ordered a new trial on the damages issues. In Ontario (as in the rest of Canada) the law is that the onus in a rear-end collision is on the defendant, not the plaintiff, to show that s/he could not have avoided the collision through the exercise of reasonable care. Once the plaintiff proves that a rear-end collision took place, then the burden of proof shifts to the defendant. The Court of Appeal found that the above statement of law is simply incorrect. It held that the onus in a rear-end collision situation always shifts to the defendant to prove that s/he was not negligent, whether because of an emergency situation or otherwise. Accordingly, the charge to the jury was an error of law. Rather than ordering a new trial on the issue of liability, the Court found that it had enough evidence with which to make a decision itself, and exercised its discretion to substitute a verdict of liability against the defendants. Next, the Court of Appeal dealt with a number of issues surrounding some video surveillance footage, taken of the plaintiff, that the defendant had prepared. The surveillance evidence was important to the defendants’ case because it showed the plaintiff waving his left arm, carrying bags, driving and turning the steering wheel with his left hand, and reaching with his left arm to the top shelf in the grocery store to retrieve an item, among other things. The defence (obviously) wanted to use this evidence to contradict the plaintiff’s evidence at trial by showing that his evidence was not credible. The Rules of Civil Procedure require a party to disclose all video surveillance in its affidavit of documents, unless the party is claiming privilege over the surveillance, in which case the party is still obligated to list it in its “Schedule B” to the affidavit of documents, and disclose particulars of the surveillance to the plaintiff (but not the footage itself) upon request. In this case, the defendants had completely failed to include the surveillance footage in its affidavit of documents, or even disclose the existence of the footage at all. In fact, the defendants had failed to produce an affidavit of documents of any kind. Despite these failings, the trial judge permitted the defendant’s counsel to play the video footage, cross-examine the plaintiff on its contents and make the video an exhibit. The Court of Appeal found, however, that the lower court’s treatment of the video surveillance was entirely improper. First, the Court observed that the existence of the surveillance had never been disclosed to the plaintiff at all until the pre-trial conference, in violation of the Rules of Civil Procedure. Further, although the plaintiff’s counsel objected to the failure to produce the surveillance footage at the pre-trial conference, and again during the trial, the trial judge did not order production of the footage at any time. Justice Moore did not order the defendants to serve an affidavit of documents disclosing the surveillance, or even to disclose the particulars of the surveillance. He also did not offer the defendants an adjournment of the trial to digest and deal with the footage. Instead, according to the Court of Appeal, Justice Moore set up what amounted to a “trial by ambush”, which it found to be completely inappropriate. Next, at trial, the defendants’ counsel sought to use the video surveillance footage for impeachment purposes (that is, to impugn the plaintiff’s credibility) towards the end of the plaintiff’s testimony. As mentioned above, the plaintiff’s counsel objected, on the grounds that the footage had not been disclosed. The Court went on to observe that the objection to the introduction of the evidence gave rise to three distinct issues: first, whether the trial judge should have given the defendants leave to admit the footage in the first place (despite the lack of disclosure, even if only to impeach the plaintiff’s testimony); second, whether the defendants had laid sufficient groundwork for the admission of the surveillance for impeachment purposes, as required by the rules of evidence; and, third, whether the defendants had in effect impermissibly used the surveillance footage for substantive purposes (that is, as a part of their own case) as opposed to simply impeach the plaintiff’s credibility. The Court addressed these issues in turn, and found that the treatment of the surveillance footage had been improper at every step along the way. At the point in this jury trial where the issue of the admissibility of the surveillance arose, the main benefits that the appellants might have obtained through timely disclosure of the surveillance particulars were gone. The appellants did not have the benefit of considering the surveillance in assessing the possibility of pre-trial settlement, and their counsel had little time to prepare an appropriate examination in chief of [the plaintiff]. The prejudice was baked in and the trial was well underway. In my view the application of the test for leave to introduce the surveillance should have led the trial judge to refuse its admission even for the purpose of impeachment. Thus, the Court found that the trial judge had erred in allowing the footage to be introduced in the first place. Defence counsel made strenuous efforts over many hours to get a categorical statement from [the plaintiff] about the functionality of his left arm. He was not clearly successful, which meant that each portion of the video excerpts had to be individually assessed. But counsel did not elicit from [the plaintiff] the precise testimony as to his functionality that each surveillance extract would contradict, nor did he put an explicit and detailed … challenge to him in respect of each incident depicted in the surveillance. More importantly, the trial judge erred by failing to determine whether the surveillance was relevant to [the plaintiff’s] credibility before admitting it into evidence… Instead, the trial judge permitted defence counsel to simply play the surveillance footage. This was an inadequate foundation for impeachment under rule 30.09 and worked unfairly to the prejudice of the [plaintiff]. Thirdly, the Court also held that even though the trial judge had allowed the footage to be used only for impeachment purposes, various factors combined to dissolve the distinction in the jury’s mind between impeachment evidence and substantive evidence. The Court found that, amongst other things, defence counsel’s address to the jury, and the absence of a limiting instruction by the trial judge to the jury concerning the use it could make of the footage evidence, led the jury to believe that it could consider the video footage as substantive evidence of the plaintiff’s injuries, and not simply to disbelieve the plaintiff’s own testimony on credibility grounds. In response to the significant errors concerning the admission and use of the video surveillance footage, the Court of Appeal set aside the jury verdict and ordered a new trial on damages and whether the plaintiff met the statutory threshold. Although it was not necessary to do so, the Court also took the opportunity to comment about the defendant’s counsel’s practice at trial of projecting excerpts from certain medical reports on a screen in front of the jury. During the course of the plaintiff’s cross-examination, the defendant’s counsel had projected an excerpt from a medical report provided by an orthopaedic surgeon. The report was contained at Exhibit 1 of the trial. Plaintiff’s counsel objected, and stated that counsel had agreed previously not to include any medical reports in any of the trial exhibits. Ultimately, the trial judge ruled that if the doctor was going to testify, then his report should not also be in Exhibit 1. He was prepared to permit counsel to read factual portions of the report as a lead-in to questions about the doctor’s opinion, but not the portions in the report dealing with the doctor’s opinion itself. The defendant’s counsel then proceeded to project the report on the screen. The plaintiff’s counsel continued to object that defence counsel was departing from the factual portions in the report and venturing into the doctor’s examination and opinion. Ultimately, defence counsel agreed to stop projecting the report. However, defence counsel then proceeded to project another report on the screen, this time from a physiotherapist. The trial judge permitted the report to be projected, noting that “a physiotherapist is not a doctor” and that his direction not to project doctors’ reports did not apply to her. The Court also took issue with the trial judge’s treatment of the report projection issue, and agreed with the plaintiff that the defendants should not have been permitted to use the projected excerpts from the expert reports. First, the Court held that upon objection by plaintiff’s counsel, the trial judge had not dealt with the matter immediately and effectively. Second, the Court found that the projected words from the expert’s report on the screen would have distracted the jury when their attention should have been on the witness. Third, the cross-examination implicitly relied on the hearsay value of the expert’s reports before the reports had been properly admitted by the experts themselves as part of the defendants’ case. Finally, the Court found that the approach taken by the defendant’s counsel effectively permitted him to get around the usual requirement that parties must choose between filing a medical report as evidence, or calling the practitioner as a witness, but not both. Ultimately, while the Court observed that there are circumstances where it is helpful to project images in front of a jury during cross-examination (such as a map or diagram), the defendant’s counsel’s approach in this case was improper and should not have been permitted by the trial judge.